Heritage Victoria has flexed its muscles, ignored a State Government backed business case, and refused approval for a key aspect of QVM Renewal. Acting Lord Mayor, Arron Wood, has called on traders who support renewal to speak out, but is that likely to happen? Policy and design decisions made at State Government and City Hall Level are directed at the long term. And certainly the QVM Renewal Project has all the hallmarks of a professionally developed project that attempts to make a real difference (not just patch some holes) and set the market up for the next 140 years. Melbourne has a great record of achievement in its design process. Traders on the other hand look more short term, perhaps to the end of a 6 year lease, and their main focus is the level of business over that 6 years. There is an argument that says that there will be no short term improvement without long term structural change. Traders who get that seem to be increasing in number and certainly the naysayers, and those who want no change are looking more and more detached from the steady decline in business activity under the sheds. 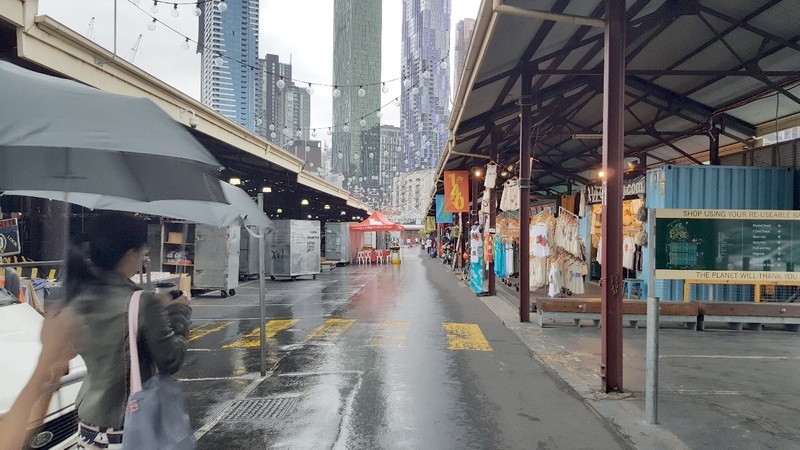 We need organisations like Heritage Victoria to protect the wonderful aspects of Melbourne’s history and few are more important than the Queen Victoria Market. But the market was built on the less glamorous aspect of supply and demand business activity and that is in real danger of collapsing without significant structural change. Our market simply has to be relevant to modern consumerism. Councillor Wood is right, traders do need to speak up. If somebody doesn’t bring some commercial reality to this decision the only activity we will get is from the bulldozers levelling the whole site for some completely different purpose. Let’s get it straight, it is vibrant business activity over a sustained period that will save QVM, nothing else. Traders need to make up their minds whether that can be done under current conditions or whether Renewal will give us the best chance of success. If you decide the Renewal path is the best one, then speak out loud and strong now. We may not get another chance. 28/03/2018 14:17:22 Heritage Victoria Decision "Am I correct in saying that two years back it was QVM Management that sought a World Heritage listing to protect the Markets long term future . Now that same strategy and decision may have the opposite long term effect on the Markets future and that Heritage Victoria are just following that exact sentiment?" I'm not sure were you draw the conclusion that the strategy for a World Heritage listing could have an opposite long term effect on the Market's future. Perhaps you can explain that. The CoM view and the view of many traders is that the long term future of the market will require a better way of operation. Separating loading and unloading facilities from public areas, providing water, electricity and modern rubbish disposal, and making the market more convenient for customers are all seen as necessary for the future viability of the market. O.H.&S can only look the other way for so long. As I understand it, it is the dismantling of heritage sheds that has Heritage Victoria upset. That is despite assurances that the sheds can be returned to their original purpose and appearance. Thanks for your input - Ed. 28/03/2018 21:26:00 Call to arms "Some traders do recognize the need for some form of renewal or refresh to stay relevant in todays market place ( no pun intended) however one fundamental question keeps popping up. Are these people the right people to achieve the desired outcome we all need. We have our 4th CEO in 5 years and countless senior management leave so we loose much consistency,direction and stability and all having a negative impact on market performance which we can ill afford. The A,B,C&D shed design has changed over the years and the empty ness of these sheds have been management curated in the lead up to the renew ,the Marque design has changed three times & running over budget ,are traders in the effected sheds are able to go back there when it's all finished and what will it look like,the weather proofing of the sheds seems to be overlooked on current plans,the Victoria St shops were going now staying ,same story with the Queen St toilets and S/L traders have no leases or any security to suggest we are still required after trading through and supporting the market over the renewal uncertainty . Thats just some of the concerns of traders who may have a further15/20 of working like ahead of them . While i'm not opposed to some form of a refresh I am hoping the new Lord Mayor conducts a review into how this process has got to this point to date and what needs to happen going forward." 1. Are these the right people? Renewal and refresh is the expertise of the CoM designers. They are acknowledged as experts in their field. 2. The CEO swinging door is most unfortunate and maybe the structure of QVM Management/Board/CoM needs a good look. 3. But, that is not why QVM performance is suffering. Retail performance is compromised by a global retail revolution with a complete change in consumer actions that is impacting across every retail entity on the planet. Just ask Mr Umbers of Myers. 4. Management have not curated the emptiness of A Shed. That has been caused by the same retail revolution. With the greatest of respect to our Fruit & Vegetable traders, many of them lost relevance with modern consumerism. 5. The NMP changes? My understanding is that process is "par for the course" in development projects. Coming up with the best design is an ongoing process. 6. Will traders go back? Personally I wouldn't want that determined right now. We may find that a full and vibrant J-M Shed with a NMP is a much better way of operating our market, meeting customer needs, and trading profitably. 7. Weatherproofing? I agree, we need to nail the weather protection with some form of roofing between sheds. 8. Leases or security? We do actually have the 5 year guarantee and SL licenses are being renewed. 9. Lord Mayor review? Seriously, we need another outside review like a hole in the head. We have a new CEO who is more than capable of reviewing. Let's just get on with this process. And finally, with the greatest of respect, complaining like you have done is easy. Coming up with possible solutions is much harder, and many of the things tried in global retailing over recent times have not worked. That might explain some of the scenarios you describe. While retailers and managers continue to strive for the best way we may just succeed in getting QVM through this challenge. I'll back someone who strove for success and got some things right against someone who just picked fault. Telling us you support "some form of a refresh" was a great opportunity to put some alternative ideas under scrutiny but you only complained. Am I being too hard on you? Maybe - but I'm sure every trader will agree this is too serious to play it soft. Thanks - Ed. 30/03/2018 23:37:00 A call to traders "A couple of your points I feel warrant greater attention. ""4. Management have not curated the emptiness of A Shed. That has been caused by the same retail revolution. With the greatest of respect to our Fruit & Vegetable traders, many of them lost relevance with modern consumerism."" Management have been neglectful in not being able to provide a vibrant A shed. While many traders could no doubt lift their game managements solution of filling out the space with upcycled pallets etc is farcical. The current environment in A shed deters new traders from applying to be part of QVM. 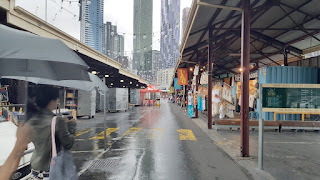 If we accept your oversimplification of the A shed dilemma being due to the retail revolution and losing touch with modern consumers then it is fair to say that the A Shed paints a picture of the future for specialty traders at QVM. ""8. Leases or security? We do actually have the 5 year guarantee and SL licenses are being renewed."" We all well know the 5 year guarantee is borderline meaningless. Even if we assume the renewal only takes 5 years that only guarantees time where trade will have a swift downturn due to the disturbances of works at QVM. That gives traders no assurances post renewal works. Is it too much to ask that after suffering through multiple years of disturbed trade at QVM you should actually still be around to see the benefits of the renewal? For a deal to be fair there has to be benefit to both parties. I am yet to hear a proper explanation of what will happen post the 5 year period. The lack of any form of acknowledgement of that of course leads traders to believe that they will be replaced after the 5 years. I think it would be only fair for CoM to acknowledge the support of traders who braved trading through the renewal by offering a dedicated lease guarantee - even if it's only a one year lease, as a way of not only saying thanks to existing traders but also letting them have a chance to start afresh and prove themselves in a fresh QVM environment". Thank you for an in depth examination. Let me make some points. 1. I don't think the retail revolution argument is an over simplification. I think it accurately states what is happening here. And while Fruit & Veg and Specialty Merchandise are quite different categories I don't think we can rule out a smaller Specialty Merchandise precinct, perhaps not with the same dramatic decline as F&V. 2. A five year guarantee is not meaningless. And good luck getting any guarantees out in the wider retail world. Yes, we are brave and we are going through tough times but in my 40 years as an independent retailer I don't remember any landlord giving carte blanche guarantees. 3. I have made the argument many times that it is crazy to suggest there is some conspiracy against traders. QVM earn their income from trader rents. It is in the interests of the Company and essential to their financial strength that they maximise the number of rent paying traders at the market. 4. SL Licenses are being renewed. They have not all been completed yet but they are being progressively renewed. 5. Nobody is doubting the hardship for traders. This is not a good time to be in retailing. And that is why we need to make positive constructive steps, not just to protect trade over the next 5 or 6 years but to set a foundation for future traders. That will simply not come from a lick of paint or any similar temporary fix. That, sir or madam, is why I believe passionately in supporting renewal. A renewal will almost certainly not ease our short term pain but it will hopefully protect our future and it deserves our full support. 6. In the meantime there are positive business steps we can take while renewal is going on and that no doubt will be a focus for CEO Stan Liacos as he works through many trader meetings over coming weeks. Thanks again for your contribution - Ed. 01/04/2018 09:41:52 Call to traders "I appreciate your prompt response and discussion, however you are oversimplifying the retail revolution argument to A (and B) shed. The prime factor here was the F&V wholesale markets relocation to Epping. Talking to traders many had plans to leave when the change happen. And many of them did leave within a relatively short time frame of that change. Talking to QVM employees over this time frame they knew this change would be coming. As a group they failed to map out a plan to salvage the area. " 2. 5 Year Guarantee - No different to a 5 year lease. If you are familiar with the situation food hall traders face it was a scenario of readjusted increased rent despite the downturn of interrupted trading coming. All they are guaranteeing is that current traders are around so that someone is paying rent during the unenticing period of renewal. It is not unreasonable to ask for some accommodation for braving a known downturn. 4. License Renewals - Many food traders leases were not formalised for over a year after they commenced. Progressive renewal of leases/licences is just another way of saying they are behind. Which in any professional environment I'm sure you will agree is completely unacceptable. In terms of how this affected food traders who also had their rents increased it forced a lump sum payment of the difference in rent when they did finally receive their lease documents. Surely you agree we should expect better than this? 5. To set a foundation for future traders - Who in their right mind would put their own business through pain to set a better foundation for the next wave of traders. Thank you for another comprehensive response - Ed. A Trader On The QVM Board? Our article about Sally Capp’s candidacy for the Lord Mayor’s role included her proposal for a trader on the QVM Board. Trader Stephen McLennan has raised some issues and we agree with him that more input and opinions are needed on this matter. What do you think? Following is the relevant paragraph from the article along with Steve’s response. 26/03/2018 12:33:57 Lord Mayor Candidate "I believe this idea of a trader rep .at Board level had been proposed many times without success over the past few years, but the suggestion has merit as long as it is a genuine attempt to bridge the Trader/board gap and taken seriously not just as a token gesture. The bigger Question might be who can converse at both aTrader and Board level and whether the role has 2 representatives so as to alleviate any suggestion of a conflict of interest and to be better informed across all aspects of the wider trader communities concerns. A position as important as this would need to have the consensus of the majority of stall holders( Election ). 27/03/2018 13:36:34 Trader on council "Having a market trader on the board sounds good in theory but it is catch 22dammed if you do dammed if you don’t will it be a general merchandise person ,a deli person or a fruit person. How can the interests of these vastly different area be in one accord , my view is that perhaps you might need three reps to get the correct message across for most stall holders to be happy. What do you think mr editor? Your reply would be much appreciated." 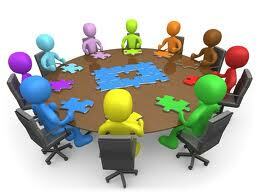 It is said that, for effective decision-making, the ideal number for a committee is 6. The QVM Board has 7 so they have it about right. Another three would be unwise. A competent trader could handle all market precincts as long as he or she had a good communication network going. I feel that traders become a bit obsessed about catering to every view. Want we want is the right decisions being made and that requires an efficient group. A Trader representative on the Board would have a lot of work to do. In any particular issue they would need to co-ordinate views with those most impacted and they may set up a sub committee with representatives from each precinct. But in the end it is not about making everybody happy, it is about making good decisions. Smaller structures assist that process, larger ones probably don't. Thanks for your input. I'd love to get other views. - Ed. Rent Payments For Casuals – A casual trader has pointed out that keeping track of different rents in different locations can test most traders but for casuals it is a bit of a nightmare. He is suggesting that casuals could pay for their spots, using a card, at the time of allocation when they would be sure they would be paying the correct amount. Not Enough Female Voices – one of our traders is complaining has made a passing observation that we get too many “he said” and not enough “she said” comments on Victraders. The editor has promised to do his best to balance the input. Did I mention that the complaining observing trader was a “she”? A trader has speculated that Myer is becoming a likely takeover target and that perhaps QVM could be in the running. A trader behind every counter might be just what’s needed to turn the Myer fortunes around. Maintenance Passes This Test – QVM Management are making a feature of service to traders particularly when it comes to maintenance issues. Magnets with the maintenance mobile number were being handed out at the Trader Connect session in A Shed on Friday morning. The number was tested on Saturday at around 10:30 am when dark clouds came in and traders on Peel St. realised that the overhead fluorescents were not switched on. A quick call got attendance from market staff within 3 minutes although apparently those lights are on a separate timer to the normal lighting and only come on at night. Nevertheless the response was very speedy. 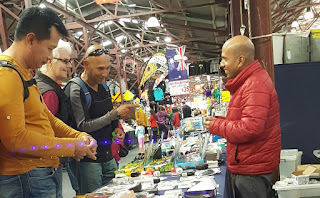 Trader Connect Session – Friday morning’s drop-in session at the top of A Shed was attended by around 100 traders and many others were visited at their stalls by staff with a roving trolley laden with coffee and cakes. It was all about the Trader Connect support package and we know of at least one trader who has decided to book a Business Partner consultation straight away. Lord Mayor candidate, Sally Capp's, proposal that a trader should be on the Board has led one trader to suggest two traders. Ivano Guseli to present logical well researched argument and Betty Jennings to keep the rest of the Board in line. More On Trader Connect – there have been concerns about the stress factors at QVM and the very real issue of mental health problems for small business operators. It was learned at Friday mornings drop-in session that Business Partners are experienced in how to advise traders who may need referral to a mental health organisation. The Biggest News of the week has been left to last with a rumour circulating late Friday of a senior resignation at QVM and a management reshuffle. As often happens with market rumours, the imaginations went wild and the phones ran hot. We can confirm that Brendan Devine has resigned from QVM although we can expect to see him around in some sort of capacity (No, we don't think he is buying a fish shop) and the management reshuffle has meant that two internal positions have disappeared. Just how that will impact on the personnel involved has yet to be determined. As one trader said "It is nice to see Stan Liacos making early, considered changes". 25/3/2018 1745 Staff Departures Farewell and best wishes to Angela Shen whose professional and respectful contribution was appreciated by many traders. Angela has moved on to a new role. - Ed. 26/03/2018 12:38:37 Female comment "Dear editor I being the female in question was not complaining Merely making a passing observation!!!! !your comment please!! " Thank you - the post has been corrected - Ed. Shopping On Instagram Hits Australia - overseas consumers have been able to click on little labels in Instagram photos to shop for the item in the photograph and that is now available in Australia. One early adopter identified a 5% increase in online sales during the first two weeks. Details from Instagram. Creative Retailing - a Harry Potter style bar in London allows patrons to mix their own cocktails in a cauldron and pour their own beers using a magic wand. Wesfarmers To Sell Off Coles - Wesfarmers has decided to sell off Coles whilst maintaining a minority share. According to commentators, the sell-off will give Coles new impetous under a new owner and the freedom to chase its own strategy without the drag of Wesfarmers multi-faceted industry diversions. Australia’s Luxury Retail Sector Looks Strong – During a recent visit to Chadstone Shopping Centre the Editor noted the unusual sight of customers queueing outside two high-end stores, Luis Vuitton, and Gucci. The queues are a result of curating customer store entry so that small groups receive maximum service from shop staff . Ibisworld research is reporting that Australia’s luxury retail market is bucking the trend in the rest of retailing by recording annualized 10% growth in the 5 years up to 2017/18. Inbound tourism, particularly from Asia is the driving force. Separate research shows that Chinese tourists account for over 25% of all tourist expenditure in Australia. 1. Forbes is asking if US food giants, Target & Kroger, might be looking at a merger. 2. New Qantas Dreamliner 17hr flight to London could stimulate tourism. 3. Next says 8.1% drop in profit due reduced spending on clothing, shift to online, and product strategy errors. 4. Pineapples are the fastest trending fruit in UK supermarkets. 5. US toy executive pledges $millions to public fund aimed at resurrecting Toys’R’Us. 6. Nike’s third quarter sales beat expectations, shares up. 7. UK retail sales up in February, but not enough to compensate for December/January decline. 8. Solomon Lew says Myer’s “one-off write-offs” are just mathematical gymnastics. 9. 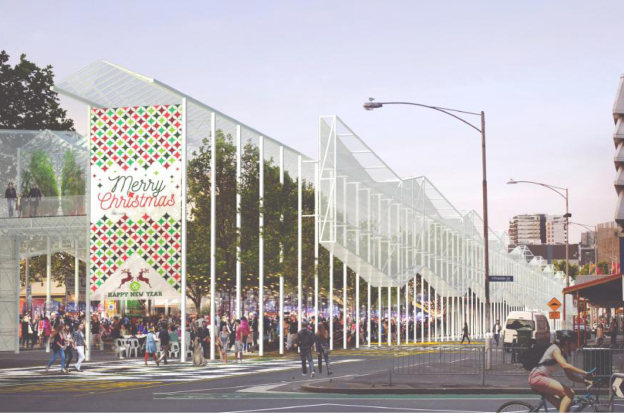 Haigh’s Chocolates bucks trends and spends $15m on new factory. 10. Local arm of Toys’R’Us says they are unaffected by US collapse. 11. Wesfarmers to offload Coles Supermarket Division as it reassesses needs. 12. Kathmandu to purchase US based footwear wholesaler Oboz. 13. H&M to open first Tasmanian store. 14. Myer incurs huge loss after writing down brand name and goodwill by more than $500m. 15. Sydney’s Broadway Shopping Centre allows shoppers to search for individual products online. 16. Administrators say Oroton can be saved. 17. Thorn Group says Radio Rentals is struggling. 18. Amazon Australia reaches 10,000 sellers milestone. 19. Rock-melon listeria deaths climb to six. At Friday’s launch of the Trader support program, Trader Connect, we were able to meet some of the Business Partners and learn how they would connect with traders and offer their assistance. SBMS (Small Business Mentoring Service) is an incorporated not-for-profit association that started its journey in 1986 with just 14 members. Today there are around 130 Mentors, both male and female, who have the skills and experience to help small businesses. Mentors have diverse and interesting backgrounds and have either owned their own small business or worked in an organisation that has had strong links to small business. I was lucky enough to meet David Gregory who is CEO of SBMS and one of his opening statements was that humans are born with two ears and one mouth and his philosophy was to use them in that proportion. Essentially the Business Partners are there to listen and learn as they attempt to understand the incredible variety of different businesses at QVM. There will be no first up “fill out this form” or “give us your business plan” as they sit down with traders and find out about individual needs and then work through options that may assist the trader. 1. How much will the service cost? – happily there is no cost to traders. The service is free. 2. What about privacy issues? 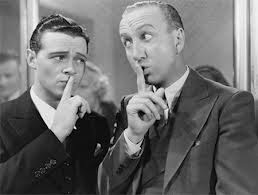 Can traders comfortably reveal private financial information? David told me that each Business Partner signs a declaration that what is discussed with clients remains confidential. Although they are funded in their work, they remain completely independent from outside organisations. SBMS have recently worked with businesses impacted by State Government railway and level crossing works, so they are familiar with scenarios where infrastructure changes can impact on fragile small businesses. Representatives of Trader Connect will be around the market over coming weeks to ensure that traders have access to their services and we will publish links and information on Victraders as they come to hand. 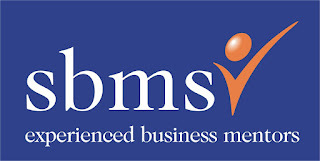 Click here to go to the SBMS web page where you will find a link to QVM Trader Connect. 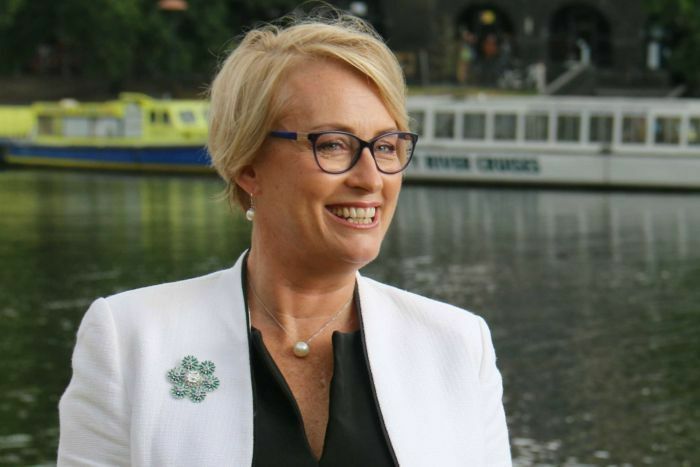 Sally Capp is a contender in the upcoming election for Lord Mayor of Melbourne (some would say the leading contender) and she has at last made some statements about Melbourne’s most important icon – QVM (not an ounce of bias here on Victraders). Ms Capp has been quoted in newspapers and seen on TV as she gives some welcome professional commentary on our much debated market. Her pledges if elected include creating a 6 person Commission to oversee the QVM renewal development process. The Commission would be made up of two traders, two council representatives, a community person and a member of the QVM Board. She is also proposing that a trader sits on the QVM Board. The “Trader on the Board” idea has long been seen as a desirable outcome by traders who are eternally suspicious of decisions made behind closed doors. The Board and previous Lord Mayor, Robert Doyle, have rejected the idea due to conflict of interest considerations. The idea of a trader voting on Board matters that may impact on their personal business or the personal business of co-traders is seen as undesirable. There may be something in that, but Sally Capp’s intent to counter “the sense of mistrust” could certainly be assisted with a trader in the Board room. Would a separate Commission assist, or simply add to, the already crowded room of politicking and debate over QVM? That probably depends on how it is set up and we look forward to hearing more about her intent. Ms Capp’s support of the council blueprint for renewal (Herald-Sun article 24/3/2018) is certainly welcome and the Mayoral election in May will bring much anticipation for traders. In the meantime of course we have a market to run and getting on with business will be the focus for traders, QVM Management and our new CEO, over coming months. Thanks Steve. You raise some good points. I have posted a separate article (see above) to explore this further - Ed. 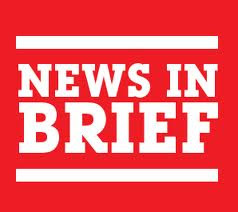 Smells in SBA – we have reported elsewhere about the problem of smelly drains in String Bean Alley and we shouldn’t be surprised that the problem appears to come down to a minor human error. Hopefully that means it can be fixed. 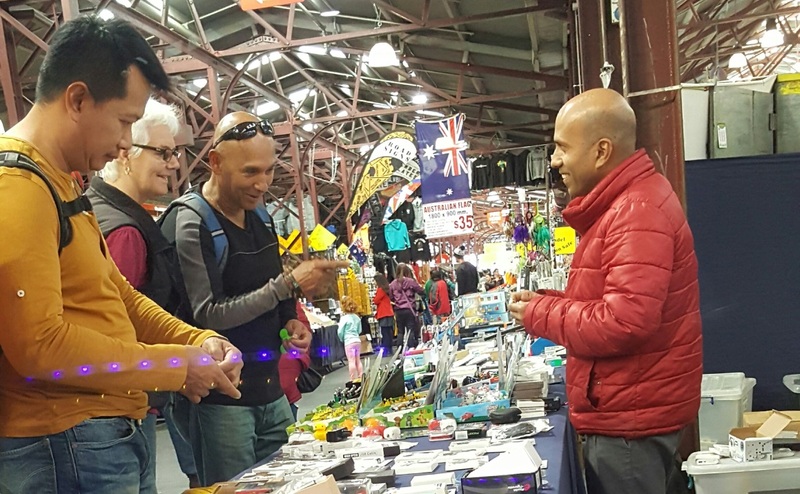 Trader Connect – the announcement of a drop-in session next Friday morning has caused some early-start traders to complain that not everyone can leave their stall. We have been assured that there will be plenty of opportunity to learn more about the program, although missing out on hot-cross buns and a coffee will be a shame. Maybe a trolley could do the rounds for those captive to their stall. A trader commented this week that traders are not really asking for much – just good business, some action, and a clear direction for the future. He made everything sound so easy. Another trader has some advice for the Business Partners (business advisers) who will be attending the Trader Connect information session on Friday. Just start every discussion with “Of course this is not a shopping centre” and they will be off on the right foot. Security can be a thankless task – security staff were recently faced with a deranged man carrying a hammer and threatening to harm a trader. They managed to wrestle him to the ground and disarm him, only to have some on-lookers complaining of rough treatment. Damned if you do, and damned if you don’t. And finally a comment from a number of traders that it is great to see members of the management team out and about in the market again this week. 19/03/2018 16:48:02 CEOs and leases "Fantastic to see the new CEO walking the sheds on sat in shorts! Are you able to elaborate on the hammer incident ? And last but not least what happens after 5years when security of tenure is no longer guaranteed? Your comment please if you can." 1. Franchise sector could be subject to Senate enquiry. 2. Southbank gets its first full line supermarket. 3. Consumer confidence falls in latest survey. 4. Prada’s sales slump except in China. 5. Research suggests 1500 Australian retail businesses could collapse. 6. Beef remains Australia’s favourite meat. 7. Walmart grocery delivery now available to more than 40% of US homes. 8. Toys’R’Us will liquidate all US stores. 9. Sambag closes stores due high rents. 10. Smiggle and Peter Alexander give Premier Investments strong half year result. We would like to give feedback on a couple of issues raised on Victraders over the last week or so. 14/03/2018 17:52:58 Renewal "Maybe you can get an answer for the wider trading community. Why is management not providing licences renewals to general traders? We have been told they are not holding back licences but I know of many traders that have been trying to get their licences renewed and are still waiting for answers. Me think they something smells. " As far as we can determine the only major restriction to license renewal is the sheer volume of licenses that require attention. By April it is expected that more than half the renewals will have been completed and the process is ongoing. There is of course a 5 year tenure guarantee for all traders. As far as we are aware the only circumstance that might jeopardise a renewal involves failure to pay rent. Licenses are being renewed and it is just a matter of time before the process is completed. Any trader who is concerned about their license status should talk to their Precinct Manager and/or Trader Representative. Smells From Drains in SBA – Matt Ryan has briefed us on the ongoing attempts to fix this problem. Controlling drainage from a temporary structure is always going to be an issue but management believe they have isolated why this is occurring and the measures necessary to fix it. So, until the next smell, this matter is addressed – fingers crossed. A number of restaurant chains in the UK are “restructuring” (business speak for “we are in trouble if we don’t re-examine our business”) with high profile Jamie’s Italian chain closing stores and battling debt. 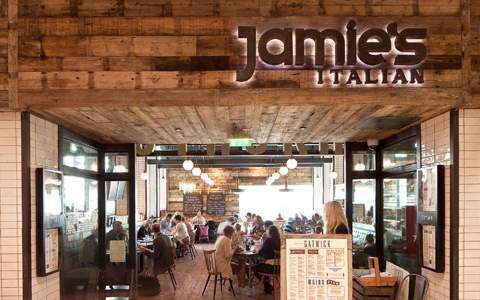 Casual dining is proving to be a challenge as fewer Brits eat out while the number of dining locations has sky-rocketed. That is not a sustainable ratio. According to an article in Bloomberg this week, key aspects like menu and restaurant ambience need to constantly evolve if eating destinations are to stay above the pack. A group of retail experts (QVM Traders) was discussing the retail revolution this week and particularly which traders are most at risk of not surviving the global downturn. With a background of high profile retail failures (Toys’R’Us being the latest) and traders leaving our market it is difficult to avoid the harsh reality of retail right now. 1. Direct sourcing of goods - cutting out the middle man, and reducing costs by going straight to the manufacturer. This allowed extreme price competitiveness at the shop front. 2. Manufacturing your own goods - similar to item 1, making your own goods enabled significant cost savings and higher margins. 3. Websites and online - expanding your footprint so that you are accessing customer business outside standard market trading times is becoming more important. Going online has long been questioned by traders particularly because it is not easy to see an immediate return, but evidence is mounting that online is slowly but surely becoming an essential element for many retailers. Just this week, Australia Post reported a 20% lift in parcel volume as consumers embrace online ordering. Put it this way, if you don’t qualify under 1 or 2, this may be your saviour. 4. Exclusivity – making your own goods isn’t the only way of establishing a unique offer. How you source, brand and present a range can impact on its uniqueness. 5. Expanded service - this means nailing the customer service aspect and going the extra mile to meet and exceed customer expectations. It will almost certainly include the online aspect, as well as delivery and packing services, electronic communication, and extreme attentiveness at the shop front. 6. 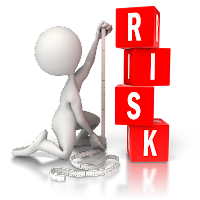 Willingness to change - our experts suggested that those traders who had shown little inclination to address any of these factors would be most at risk. Trader Connect, is the operating name for the Continuing Business Framework set up by the City of Melbourne to help address renewal issues at QVM. You may identify it better as a trader assistance package. The package has two essential elements - firstly a financial component that will enable traders to seek financial assistance “where impacts of renewal works cannot be adequately mitigated and have resulted in a demonstrable negative impact on the trader's profit during the period of the works”. So, if you believe you have been significantly disadvantaged by renewal and you are willing to present comprehensive financial evidence to show that, you may be able to make a claim. The second element involves business support initiatives including access to Business partners who will be experienced business people able to give advice to traders. It is expected that the nature of advice will be wide ranging and will focus on what you want to achieve at QVM. There will be plenty of other initiatives to assist with communication, coaching and connection with traders, including an online Trader Portal for time poor traders. This program has been compiled after extensive consultation with a trader focus group and the depth of subjects includes ways to address specific renewal events, and how to engage and excite our customers along the way. Next Friday (23rd March) is the launch of the Trader Connect initiative with a drop-in between 7am and 9am at the top of A Shed, but that will be just the start of the information process. Over coming weeks traders will be able to familiarise themselves with all the assistance offers and how they might best take advantage of them. 18/03/2018 21:46:38 trader assistance package "Who were the traders tacking part on this focus group?" We understand the project team spoke with 40 traders across Specialty Merchandise, Dairy Hall, Meat Hall, Fruit & Vegetable, Victoria/Elizabeth/Therry St. - Ed.